They eat worms or the like, Hien …? They do, and they also eat other birds. When this grackle landed, all the other birds flew away. 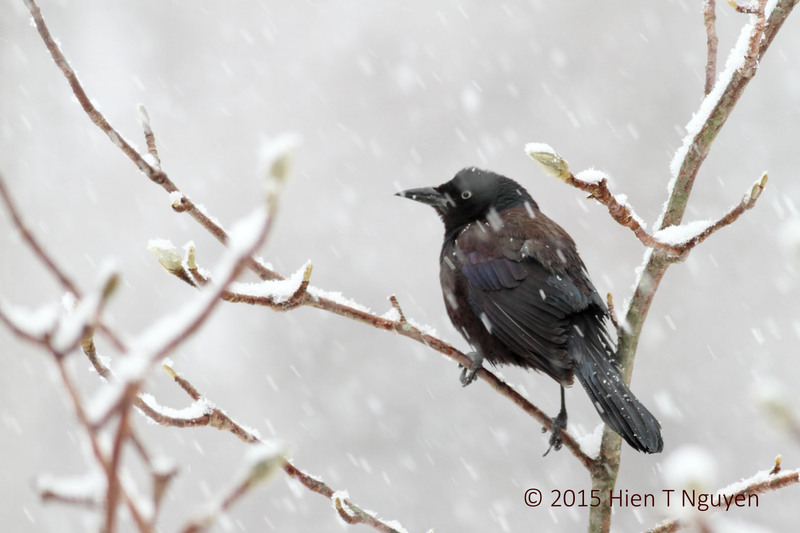 Thanks for commenting, M-R.
No spring yet….at least you got a great shot in the snow. Thanks! I did get a few more shots that I will post tomorrow.